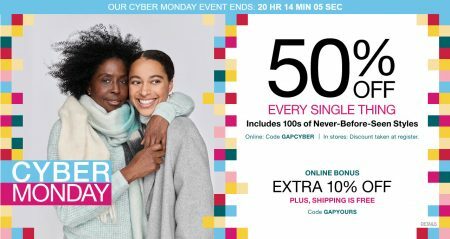 Gap, Banana Republic and Old Navy is having a Cyber Monday Sale. All 3 sales are available online and in-stores on Monday, November 26, 2018 until 11:59pm PT. Gap, Banana Republic and Old Navy all offer Free Shipping + Free Returns on orders over $50. Click here to shop Gap Canada now. Click here to shop Banana Republic Canada now. Click here to shop Old Navy Canada now.